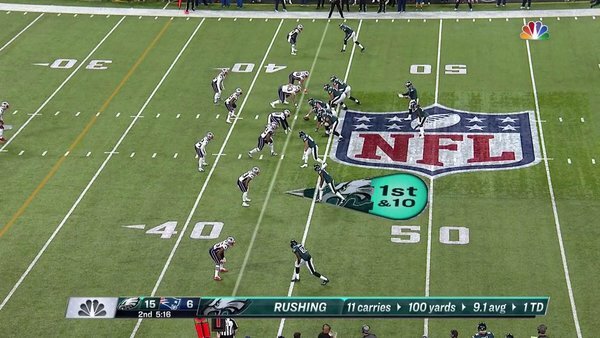 WE SEE YOU, @LG_Blount ! 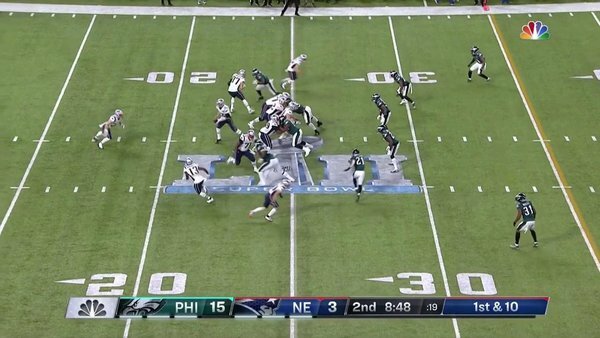 Foles and Brady both have 143 passing yards at this point. They also both have zero receiving yards. If Patriots are to win a third Super Bowl in the last four years, it's going to have to be another comeback effort. They rallied from 28-3 deficit last year. 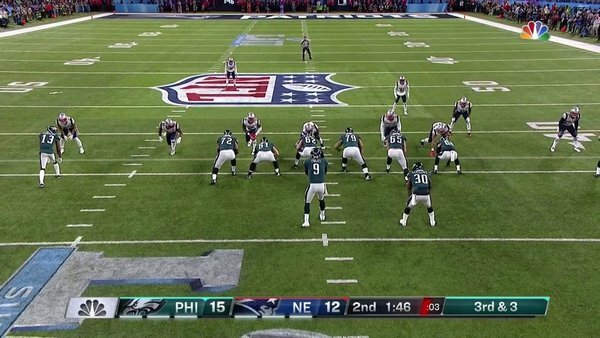 Now it's 15-3 Philly.
.@LG_Blount comin' at ya! ???????????? I think Josh McDaniels is trying to be too cute, he's thinking about that new gig. Welp, no 28-3 this time. Gostkowski's 45-yard FG is GOOD! Pats get a field goal here and trail, 15-6. James Harrison looks a little old. That's Nick Foles first INT in his postseason career. 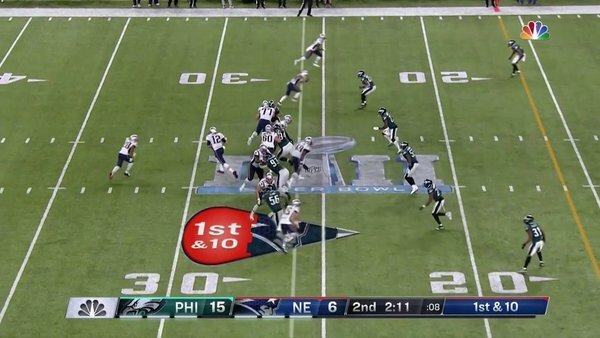 Looks like Hogan drew a PI here. Well, what do you know. Patriots RB James White scored a touchdown in the Super Bowl. The man's a machine. He had 3 in last year's epic 34-28 overtime thriller against Atlanta. James White breaks three tackles to get into the end zone. Pats trail 15-12. Wind playing havoc with the kicking games for both teams. Gostkowski now misses a PAT after James White TD. Eagles up, 15-12. 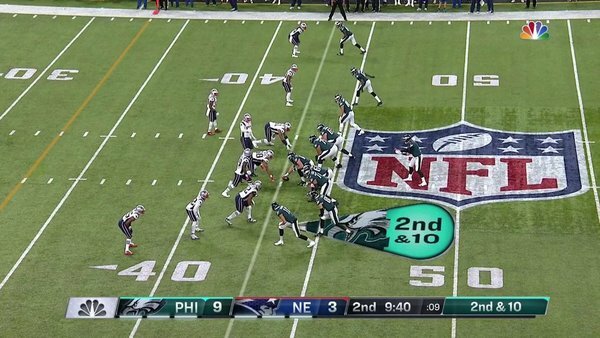 So far: 2 missed PATs and a missed FG. Gostkowski has had two missed PAT. The first one on the holder and this one on him. I'm not sure if Malcolm Butler could have done better. But he's watching this. :41 left in the 1st half. 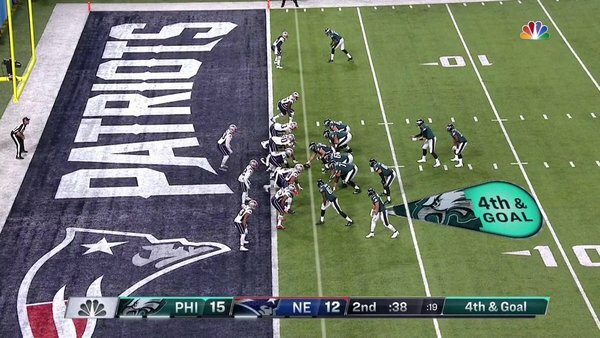 3rd & goal on the 1 for the @Eagles . The @Eagles have 4th & Goal from the 1. Well the Eagles QB catches passes. This game is entertaining as hell. 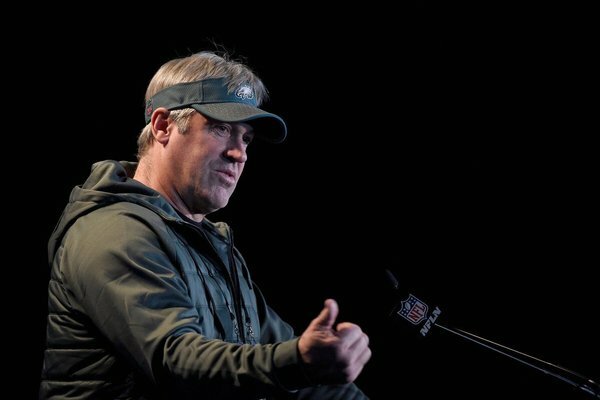 Eagles up 22-12 on touchdown pass TO Nick Foles from Trey Burton on trick play. Would love to have heard that conversation on the headsets during that timeout. "I think we should go for it." 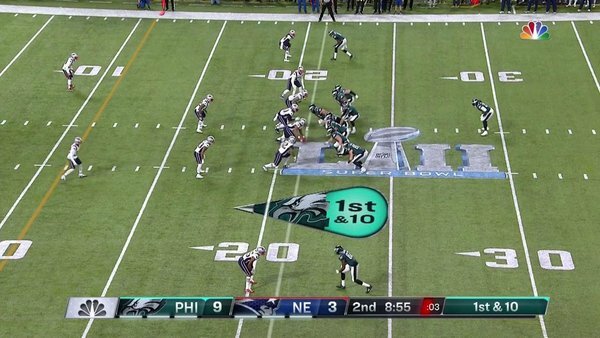 "And this is the play I think we should run." That's Nick Foles' first career reception. And it's for a touchdown. 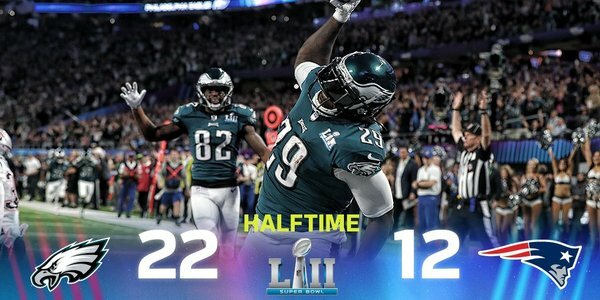 In the Super Bowl. Just like the ceremony honoring the Hall of Famers in the first quarter, the Patriots have no TOs.